It probably goes without saying that many to most within Christendom want to get to know God and that is certainly a worthwhile endeavor. Unfortunately, the way too many go about it takes them down the wrong path. I know, because at one point in my teen years I was caught up in the Charismatic Movement, as I’ve mentioned in previous articles. Unfortunately, there much of what passes for knowing God is often found in ecstatic experiences. The problem with ecstatic experiences is manifold because when Christians seek to know God through experiences designed to trigger our emotions, we go down a wrong path. The very experience itself is used to determine truth or knowledge of God, yet offers nothing tangible that translates to actual godly gnosis (knowledge). So the question again is, do you want to get to know God? I spent years studying the Bible. I received first a bachelors in Bible degree from an accredited Bible college (which has since jumped the shark as far as theological truth is concerned). I then sought and received a master’s degree in Biblical studies from another institution. Finally, I studied and received my doctorate in theology from still another biblically-based university. In all those years, I poured over the Bible, taking it apart, learning this doctrine or that one, writing papers and theses on different subjects and in general, preparing myself for ministry. I do not consider myself an expert in God’s Word as some are, but I’m certainly much further ahead now than I was 20 years ago. There is absolutely nothing wrong with doing what I did. In fact, it is very good to have a working knowledge of the Bible and pursuit of graduate degrees forces us to stay on the mark. As Paul told Timothy, we need to study to show that we are approved so that we can rightly divide God’s Word (2 Timothy 2:15). This is really a command that applies to all Christians. Through the process we learn discipline, truth, and gain discernment (another thing sadly lacking in too many today). There is a danger however, and the danger is that all we will do is study God’s Word to learn about doctrine, theology, and become apologists. It is a danger because in all of our studying of the Bible, it can easily turn into an exercise in learning about God’s Word, and not about God Himself. That makes for a very important distinction. It is not enough to simply study God’s Word for the sake of studying it though it is a very worthwhile pursuit. Something else must be done as well. Do you want to come to know God? Read His Word every day. What is the difference between studying God’s Word and reading it? Several things. First, when we study His Word, we are deliberating learning about specific doctrines, theology, and other important aspects of the Bible, but not necessarily allowing His Word to do its internal job on us. We may spend time studying the conditions of the time in which a particular book of the Bible was written or we may spend time learning about a particular human author that God chose to use at that time to pen part of His Word. We may study about Jesus Christ (Christology) as found in the prophetic discourse of the Old or New Testaments. We may study the doctrine of salvation (Soteriology), as revealed throughout God’s Word from the very beginnings in Genesis, all the way to the climax found in Revelation. We may study the Bible to catalog all of the ways Jesus fulfilled prophecy found in the Old Testament. We may do the same regarding all of His miracles. We might study the missionary trips of the apostle Paul or others. We might spend time memorizing outlines of each book of the Bible or summaries thereof. There are many ways we might approach the study of God’s Word. The combinations seem infinite. Second, while we do certainly gain much from studying the Bible, more is to be gained by just reading the Bible at the devotional level. By doing so – from start to finish over a year or less – we begin to grasp several things that we might miss in our studies. First, when we simply read the Bible each day, we are immersing ourselves in God’s Word, not as an exercise to gain knowledge, but with the intent of gaining a greater appreciation for God; who He is, how He interacts with His Creation, how He proves His love repeatedly for that Creation, how He continually provides evidence that He is sovereign over all things, etc. While yes, these things are also related to doctrine or theology, by simply reading God’s Word, it allows us to see things in context, which is extremely important, so that we can gain the big picture that God wants us to see. When we read the Bible for daily devotions, we begin to see an emerging picture of God. 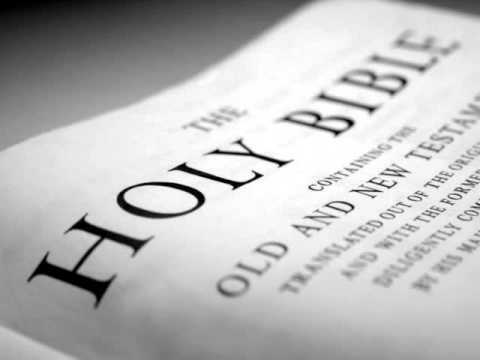 It helps us understand that God wrote the Bible for our benefit, so that above all things, we can get to know Him as He has revealed Himself through the pages of Holy Writ. The more we read the Bible, the more it sticks with us – in our hearts and our minds. I was reading book after book, going to this conference or that one, listening to that speaker or another one regale us with testimony of one miraculous event after another. I, along with thousands of others, found it far more interesting to run after these folks to “learn what God was doing in and through them” rather than read His Word devotionally to learn what God had actually done and taken the pains to record for us in the pages of the Holy Bible, His Word. Something was wrong and I wish I could say I was the exception but in reality, most people I met in the Charismatic Movement all did the same thing I was doing. I didn’t “hunger” after God’s Word. When I got “hungry,” it was much easier (and far more exciting), to open a book written by any number of authors who always seemed to be living that exciting spiritual adventure that I could only dream about. Certainly, their books were entertaining and somewhat enlightening, but I’m saddened that I looked to those books instead of God’s Word. Sadly, the same condition exists within that movement today, with people running after this person or that one because of their testimony that says walking with God is an exciting adventure that never stops. That’s not biblical reality. The trouble with this type of pursuit is that I was not panting after God (Psalm 42:1), so much as I was panting after experiences. Getting to know God involves our emotions to a certain degree as a reaction to His truth. We cannot claim to be Christian and never feel remorse about our sin, or humility at the realization of just how much God loves us, and we should see a growing love for God in our lives. However, these feelings should be the result of getting to know God on an increasing basis. The feelings themselves should not be our guide nor are they truly capable of imparting actual truth. I’ve talked about being married and how the initial feelings of “love” or ecstasy tend to calm down after a while and life settles into a pattern. If we’re not careful, we can come to a point of taking our marriage partner for granted. We can also begin focusing on the things we don’t particular like about our marriage partner. If we do, it will be those things that become very large and essentially define the way we feel about our mate. No marriage is perfect because no two people are perfect. Growth toward one another or away from the other occurs based on what we focus on. A good relationship requires work and at times, it requires more work than it might at other times. Sometimes, it sails along smoothly (based on the work that’s already been done), and at other times, there seems to be one problem after another. If we define our love for our spouse based on how we feel about them (or ourselves), it would not be an accurate indicator of love. It would simply be how we feel at that time to direct us and our feelings change constantly. We do the same thing where God is concerned but we excuse ourselves because we say God is supernatural and even our best human relationships are not. Yes, it is true that God is supernatural, but we need to remember that He has seriously stooped to our level in the God-Man Jesus so that a bridge was rebuilt by Him allowing us to once again enter into fellowship with Him through salvation. We will not be able to know God the way we were truly meant to until after this life is over and our sin nature is completely excised from us (cf. Matthew 17:1-13; 1 Corinthians 13:12). Until then, we come to get to know Him through the means by which He has placed before us – His Word. It all stems from that. What does the above text say to you? Isn’t it saying that whatever God has said is living and active? The reason it is “alive” is because it is the Word of the living God (Constable). The Bible does not represent the words of some dead poet or author from another age. God’s Word is always current, always active, always living and because it was written ultimately by God Himself, it is extremely powerful. Notice in Matthew 4, while being tempted by Satan, Jesus used Scripture to resist him and what did Satan eventually do? He fled because he was confounded by the power and authority of God’s Word wielded by God the Son. Do you want to get to know God? I have been reading through the Bible using a yearly plan. I’m now just over 79% complete. Recently I finished the Old Testament and I already miss that part of God’s Word because just reading through it has been so enlightening. Once this year is over, will I be done devotionally reading the Bible? No, I’ll simply start over on January 1st from Genesis 1. There is more that I’m sure I’ll learn about God from His Word. There are any number of great Bible reading plans available for your smart phone. Look in your phones app store. Entry filed under: christianity, Religious - Christian - End Times, Religious - Christian - Prophecy, Religious - Christian - Theology, salvation. Tags: bible reading, daily devotions, read bible daily.